In the 12-part monthly comic book maxi series FIGHT CLUB 3, Marla Singer is about to deliver her second child, but the daddy isn’t her husband—it’s Tyler Durden, who’s very invested in his heir, and the world he’ll inherit. Marla, her first son, and her husband—the unnamed narrator in the novel, who now goes by Balthazar—live in a run-down motel in a sketchy neighborhood. 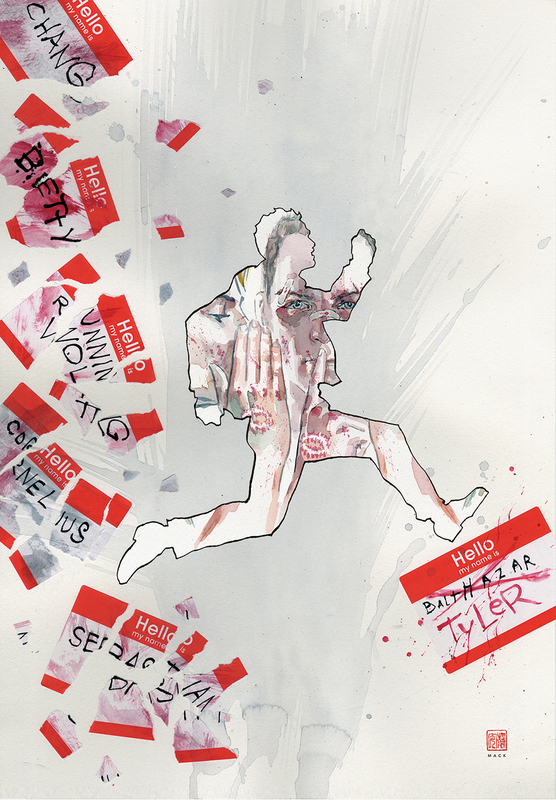 In the FIGHT CLUB 2 graphic novel Tyler transformed Project Mayhem into Rize or Die. Now, a new group has implemented a ruthless and deviant plan to fine-tune mankind, leading Balthazar to forge an unlikely alliance…with Tyler Durden. The first issue arrives Jan. 30.